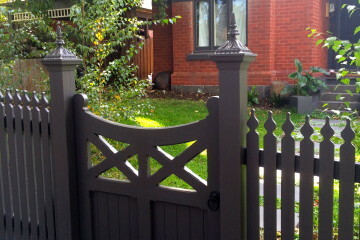 Landscaping design, construction & maintenance in the most prestigious gardens of Melbourne! Earth Banks has been providing a full landscaping service, from design to maintenance in Melbourne, for both residential and commercial clients for over 20 years we are proud of our excellent track record for quality work, creative ideas and intimate knowledge of plants and materials. We have extensive experience and expertise in all other aspects of landscape construction, including irrigation, decking, paving, retaining walls, garden lighting, soil improvement and drainage, ponds and water features. Earth Banks is made up of a small team of hardworking, friendly staff and we have a well-established network of trades, from electricians to arborists, who work with us as required. Sean O’Dwyer is the founder of Earth Banks. Sean had his first paid gardening job in 1987 at Tarrawarra Estate and from there, he went on to study art at Ballarat University. In 1992, he set up a gardening business in his hometown of Melbourne, which eventually became Earth Banks. Sean completed a Cert. IV course in Horticulture at Burnley in 1997 and completed subjects in Landscape Architecture at R.M.I.T. Sean is a keen student of the landscape form and nature in general and at the helm of Earth Banks, he has constructed projects designed by Chris Dance Land Design, Max May Architects, Paul Bangay and David Holst, along with implementing many of his own garden designs. We specialise in: Garden design, plant selection and care, rockwork and soil contouring, raised vegetable garden beds and edible gardens. 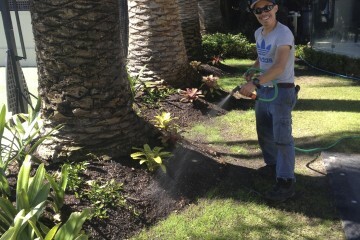 Call today for the best landscapers Melbourne! Are you looking for a landscaping company that offers landscaping design, and maintenance services services in your area? Earth Banks has you covered. From Brighton to Richmond, Toorak to Yarraville and throughout the greater metropolitan area, we provide homes and businesses with a bespoke landscaping service. For the ultimate landscape designer Melbourne, who is regarded for the services we have been offering in this area for over two decades, is Earth Banks. 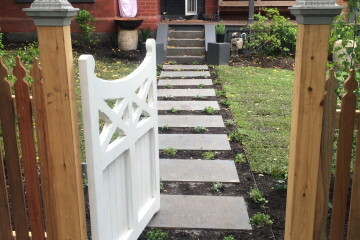 Our specialty services include Garden Design, Plant Selection and Care, Rock-work and Soil Contouring, Construction of Raised Vegetable Garden Beds and Edible Gardens. Additionally, landscape construction Melbourne, providing all the supplies, and also what material is required where, is something that is part of the overall scheme of things. Essentially, what does landscaping really do? After envisioning the landscape design and we carry out its construction, with our innate experience, knowledge of the many plants and materials and its usage and placement, we literally revamp a plain surface or space to something absolutely mind blowing and beautiful, that garden space becomes a haven of sorts and your home is instantly transformed. We are aware that after landscape design and construction, then maintenance of the same is required and as recommended by our designer, we will carry out the same effectively and periodically. 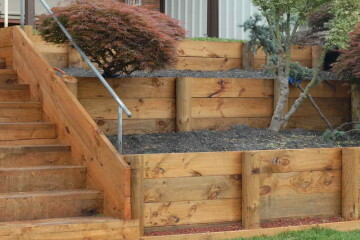 If you are from the commercial or residential sector and you are from in and around Melbourne and you are looking for extensive landscaping services that include setting up, landscape construction, designing, maintenance and not to miss our deep knowhow of landscaping supplies and material which is also included into the whole scheme of things, Earth Banks landscaping services in Melbourne is a call away! For landscape design, construction and maintenance, call Earth Banks on 0412 363 678. We're happy with the service and advice. Sean did the job on time and we trusted him throughout the process. Sean was wonderful to deal with! And his work looks great. We'll definitely be using him again.